As a child, I tried to please to gain my mother’s attention. I colored meticulously in the lines and got straight A’s. As a teen, I strove to have a perfect body but did not have good material to work with. As hard as I tried, I was not beautiful nor popular. It all was for naught. Trying to be perfect did not curry affection. Around 40 years-old I had had enough of being a perfectionist. It was making me miserable. I decided if you can’t be perfect, strive to be interesting. I started breaking free by doing small acts of rebellion. It began with my artwork….. 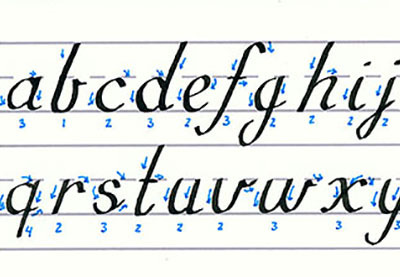 I quit practicing calligraphy. Making perfectly proportioned letters gave way to altered, skewed forms. I gave up working on the wheel in ceramics shunning symmetry for wonky, sometimes smooshed, handbuilt pieces. The female figure became a lovely opportunity to distort and exaggerate. There are often holes where breasts should be, with huge hips & thighs going counter to what our culture celebrates. I avoid drawing straight lines preferring to make them wavy or zigzagged. When I began teaching (I started late), I changed the Ms. in my name to Mz. Pass. When students questioned that choice I responded that I really liked the letter Z. It was a horribly underused letter of the alphabet and I thought it worked better in this application. That explanation seemed to satisfy their 6th-grade minds. I use a “coffee name” at Starbuck’s or equivalent when I order. This habit started out since no one could seem to write or pronounce my name correctly. Zelda became my alias but I am having so much fun having a different name I am considering trying on others for size. Olivia or maybe Ophelia? In the meantime, remember…If you can’t be perfect, strive to be interesting. You’ll be so much happier! I have no trouble coming up with creative ideas. It’s fear that is the creative’s nemesis. Really, that’s what a creative block is, just plain old fear. Sometimes you have to look under your creative bed and make friends with the monster. Perfectionism is a like having a raucous little beast, its claws firmly embedded in your shoulder, whispering in your ear that your work is not good enough. You need to try harder. You need to do more for it to pass muster. But you’re never quite satisfied and you’re filled with lingering doubt about the value of your work, and worse, yourself. It is the enemy of creativity. When I speak of perfectionism, I am not equating it with the precision required of a brain surgeon or a rocket scientist. This kind of perfectionism does not lead to positive outcomes. It often goes hand in hand with unhappiness & anxiety. Looking at my work now, one would never know that I am a recovering perfectionist. My work is often playful, spontaneous, & made of torn paper or clay forms that have intentionally been altered or misshapen in some way. I gravitate towards the asymmetrical & wonky shapes that you might find in a Dr. Suess book. It’s my private rebellion against perfection. In a round- about way, I’m rejecting the notion that our bodies must conform to a perfect ideal as celebrated by our culture. The seeds of my perfectionism developed during my teenage years. I suffered from some misaligned parenting that left me carrying a heavy backpack of low self-esteem into my adulthood. The message I internalized from frequent criticism was that I was not good enough. As a result, I became critical of myself & began down the path of perfectionism to compensate. Perfectionists often set themselves up for failure- or perceived failure. It made sense that one of my first art forms was calligraphy. To make proper letter forms, one has to be quite exacting. I strove to achieve the strictest proportions with my work, often starting over & over. Eventually, my body started to give me signals that made me begin to question my perfectionism. I developed carpal tunnel syndrome & neck & back pain. This started a period of intense self-examination since I was suffering from depression as well. It took months of therapy and hard work on my part to begin to free myself from the grip that low self- esteem had on my psyche. I started taking medication to treat my depression. Eventually, my perfectionism began to dissipate. Now I practice “imperfectionism.” This does not mean I am into sloppy craftsmanship, but rather that when I have expressed what I’ve needed to express I stop, walk away and declare it done. The little flaws that remain, unnoticed to others but myself, are no longer deal breakers. They are the marks that a human hand made the piece & not a machine. I keep an awareness about me when I am working lest my evil little beast lands on my shoulder again. If my mood shifts from a positive one to anxiety, I start to question the motives in my work & refocus. It’s a great time to get up, flick the beast off & take a break. The creative process should bring happiness. If your perfectionism is robbing you of that, it’s time to think about where it came from. Check out the books by Keri Smith such as Mess, The Manual of Accidents & Mistakes to loosen you up. Adopt the practice of “imperfectionism” & experience the joy you deserve.